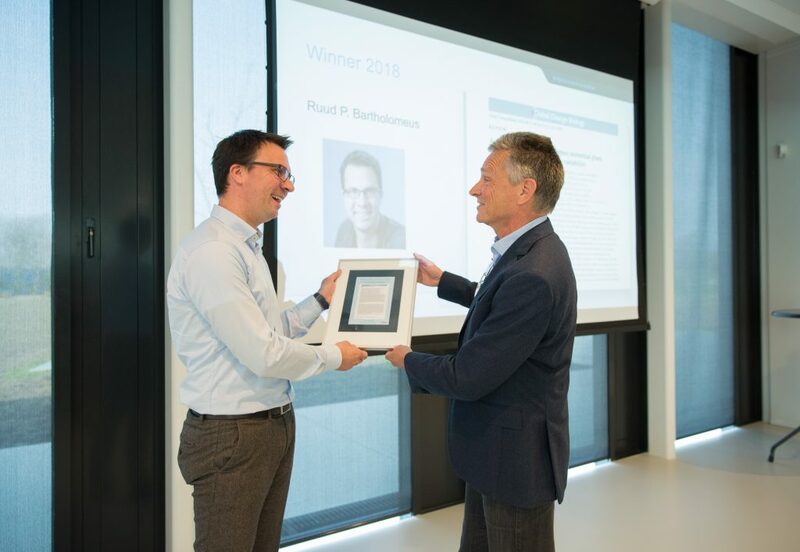 Ruud Bartholomeus has won the 2018 Willem Koerselman Award for the article “A plant’s perspective of extremes: terrestrial plant responses to changing climatic variability”, which appeared in the January 2013 issue of Global Change Biology 19 (2013)1, pp.75-89. In the article, Bartholomeus and his co-authors describe how plants react to increased extremes resulting from climate change: increased extremes have a bigger impact than changes in mean climatic conditions. The relations between plants and water are particularly vulnerable to extremes driven by changes in temperature and precipitation. Heat waves and flooding have stronger impacts on physiological processes than do changes in the mean climate. Moreover, the article describes the best methods of setting up quantitative research into plant responses to increased extremes in climatic variability. This has certainly contributed to the growing number of citations: there is a great need for research into the impact of climate change and the greater variability in climatic conditions. 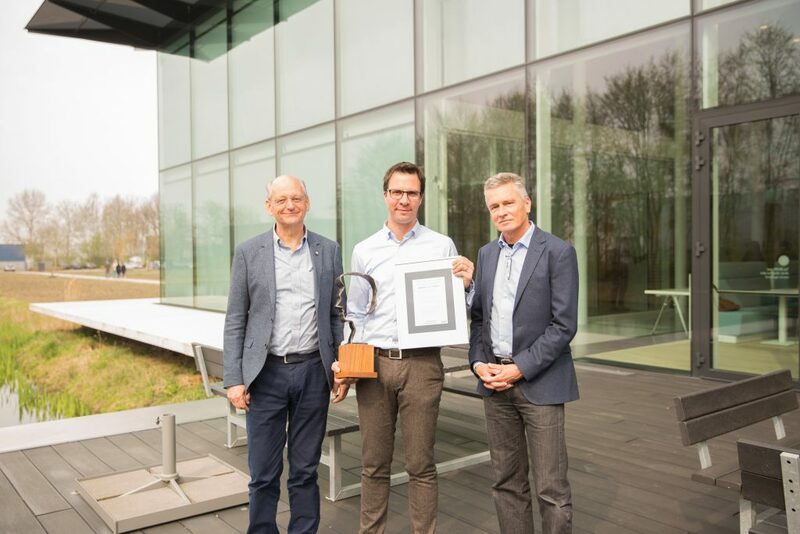 Every year the Willem Koerselman Award is presented by KWR’s Chief Science Officer to the institute’s researcher(s) whose peer-reviewed article was most cited over the preceding year (but which has not previously won the award). The award is also presented by former colleague Willem Koerselman, after whom it is named. Koerselman won the first Willem Koerselman Award in 2009 for his 1996 paper, ‘The vegetation N:P ratio: A new tool to detect the nature of nutrient limitation’, which was published in the Journal of Applied Ecology. That paper has already been cited 1161 times. 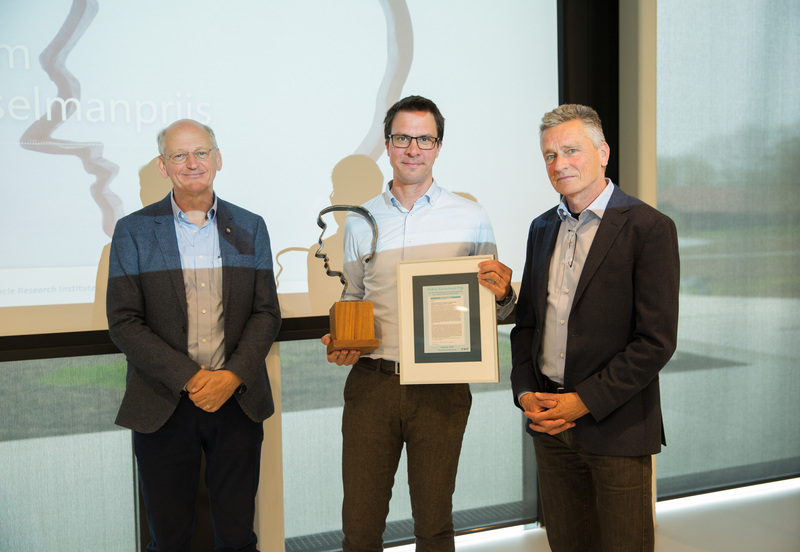 ‘It’s great that this article has won the Willem Koerselman Award: its citation score has been good for a number of years, which means that it has had a good impact on science,’ says Bartholomeus. 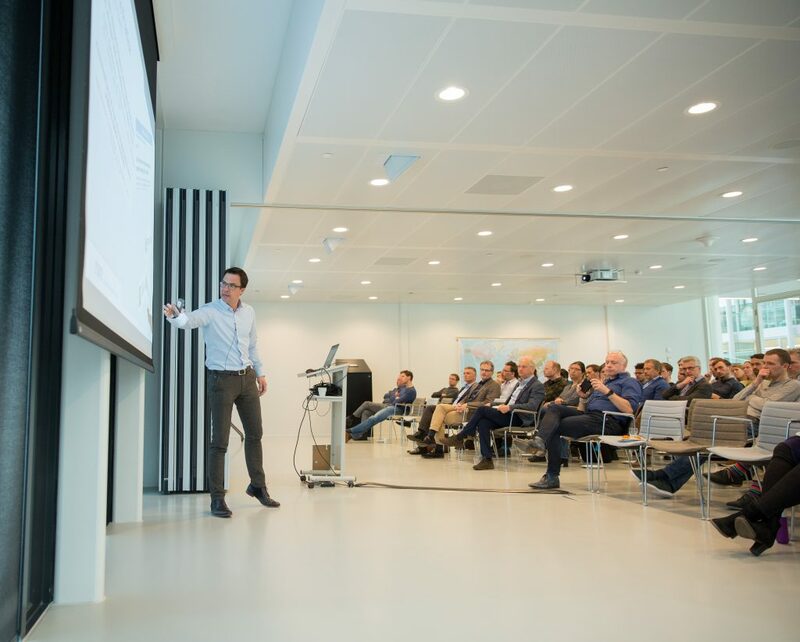 ‘But I think that it is even greater that the knowledge that KWR has contributed through this article has also had a lot of impact on practice. This article, as well as several other papers and my doctoral thesis, all contain the scientific knowledge developed about processes within the soil-water-plant-atmosphere relationship, but, thanks to KWR, this same knowledge has also for example been incorporated into national tools like WaterVision Agriculture and WaterVision Nature, and has been connected to the National Hydrological Model.’ Thus, some fine examples of bridging science to practice and of impact on practice. Prize awarded to Ruud Bartholomeus by Willem Koerselman. Kees van Leeuwen, Ruud Bartholomeus and Willem Koerselman. Het bericht Willem Koerselman Award for Ruud Bartholomeus verscheen eerst op KWR.